The IBM SmartCloud Application Services (SCAS) is composed of 2 main services, the SmartCloud Application Workload Service (SCAWS) and the SmartCloud Application Collaborative Lifecycle Service (SCACLMS). The SCACLMS is used to record your mobile application requirements, work-items, stories and manage code versions, releases in a quality insurance way. 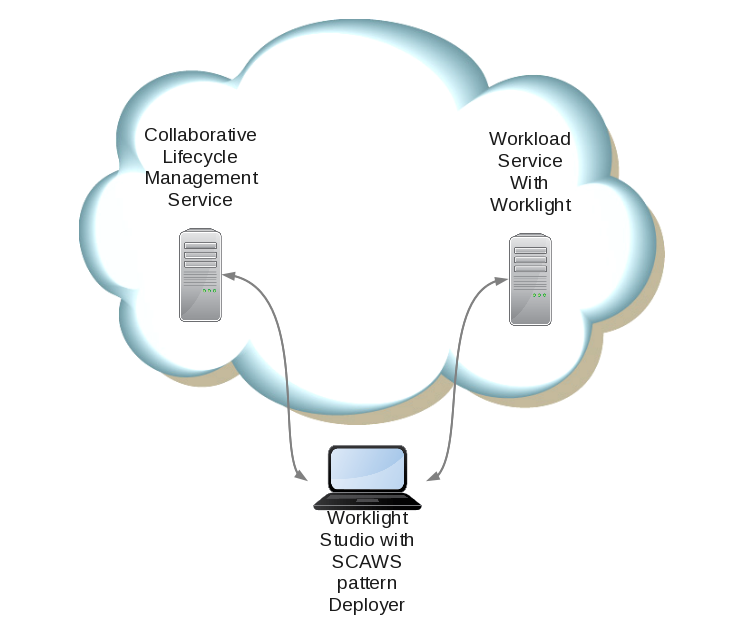 The SmartCloud Application Workload Service provides the capability to quickly deploy a mobile topology on the cloud based on the Worklight pattern. Jointly, both services allows you to manage your mobile application lifecycle from the business requirements to the operation using the DevOps methodology and thus speed-up your go-to-market. 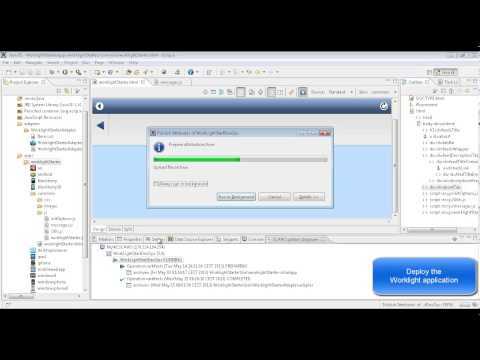 The Worklight Developer Edition: Allowing you to develop and test locally Worklight application. The Workload Server Using the SmartCloud Application Workload Service and “IBM Mobile Application Platform Pattern Type” , you will be able to quickly provision a test/staging or production environment. The SCAWS pattern deployer: This is an Eclipse plugin which can be added to your development environment in order to deploy adapter and application to your running Worklight running pattern on SmartCloud Application Service. The get access to the Trial program for Worklight on IBM SmartCloud Application Services and thus get access to the Worklight pattern please go on the “Try Worklight on the IBM SmartCloud at no charge“. After the trial period, buying the Worklight License will authorize you to seamlessly continue your mobile development on the SmartCloud Application Services.